Survival is for the fittest, is Earth fit to Survive? ~ Portraits of yesterday!! Survival is for the fittest, is Earth fit to Survive? I have always believed that whatever needs to be extinct has to go extinct. Survival of which is going to be a pain for itself or the people helping it to survive. But when it comes to the survival of Mother Earth there is a second or third thought regarding my belief. Can we let anything to go extinct if we love it? Probably not. So when environmentalist are trying hard to protect an animal or bird species to prevent it from disappearing completely from the face of earth, there is a lot of love and empathy and affection behind their action. 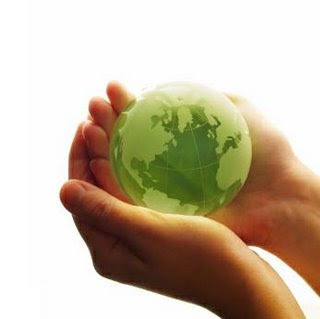 Now, 'go green' is a slogan heard in every continent. Recently, I happened to watch a travel programme on TV. It showed massive parts of glaciers of Antarctica melting and falling down several times a day, baring the mountains of its ice clothing!! That was a scary scene. This is the ultimate result and proof of global warming now. The ice melts and the water level increase. And places which are close to sea level are under the threat of being submerged in water in near future!!. One by one will the continents disappear and will there be a massive extinction of all the species on earth?? Is there a need for a 'Noah's Arc' to be send to space to preserve all the species? One step at a time, what can an individual among 6,784,247,386 people do to help it? I found few steps from the net and thought of jotting three of the easily doable ones for you and me. 2. Reduce electricity usage. Clean and repair damaged appliances on time to save more. 3. Start using a reusable plastic bottle which u can always refill instead of using single use mineral water bottles. List is long... but lets start with one tiny step at a time. Join me!! If we can increase the age of mother earth even by a single day, its worth trying whatever it takes! !